Sibiu is a medieval town of Romania. 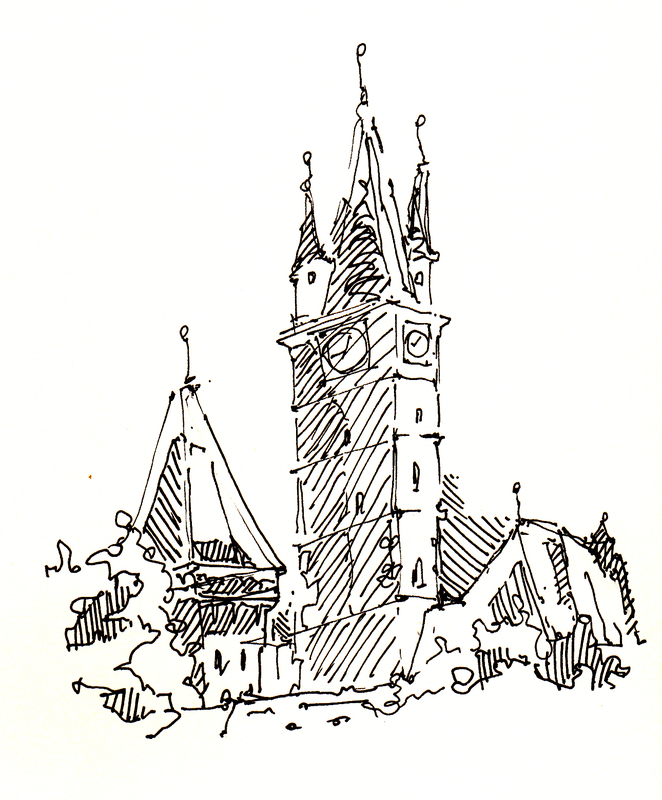 I sketched this while on my holiday in Romania in July 2016. The tower is crooked, and there is a legend to it.